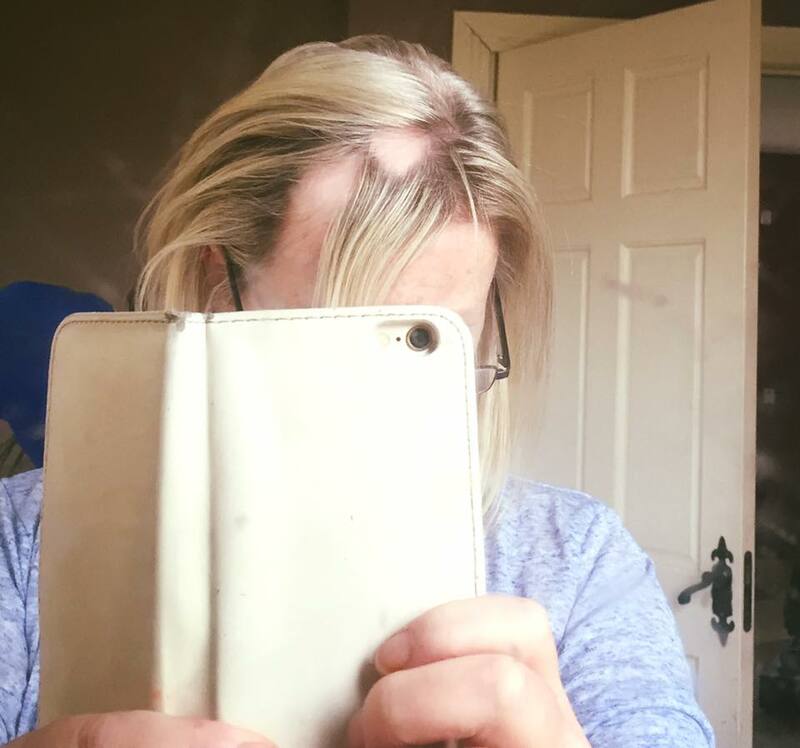 A mum has taken the brave step of posting photos of her hair loss on Facebook in a fight to break down the stigma surrounding alopecia. 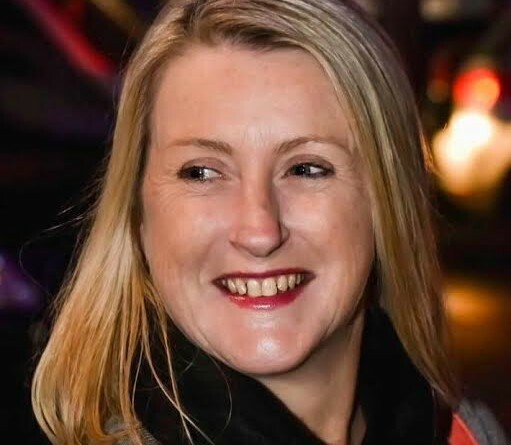 Barbara Smyth, 48, posted the photos of the increasing number of bald spots she had been so desperately trying to conceal for years – in a bid to make female baldness more socially acceptable. Barbara, from Co Longford, said: “I am sick of hiding it. I first had a bald spot when I was 16, but it got much worse in my 30s and now I know it’s at the point where I may soon have to shave my head because I am losing so much hair. I just got to the point where I want to face this and say this is no shame. I am no different to you. So much of women’s lives is about looking beautiful and how we are perceived by others. 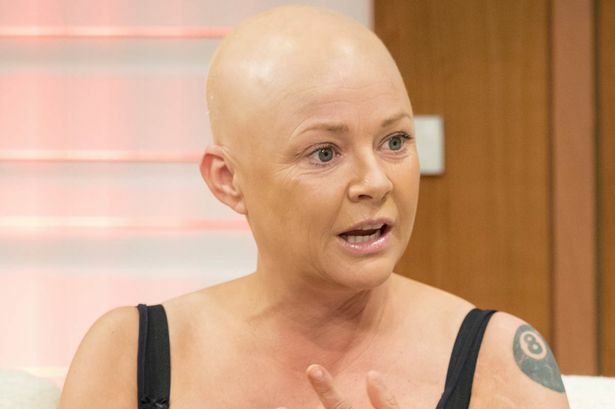 TV presenter Gail Porter’s blonde hair famously fell out in 2005. The 43-year-old Scottish star’s career had seemed to “suffer” despite her bravery in being open about her alopecia, Barbara said. Barbara paid tribute to Gail, who appeared recently in Celebrity Big Brother, saying: “Gail Porter is fantastic. “She shaved her head and it grew back but she had to go back to shaving it again. “Despite her honesty and bravery, her career has suffered which shows there is still a stigma about alopecia. 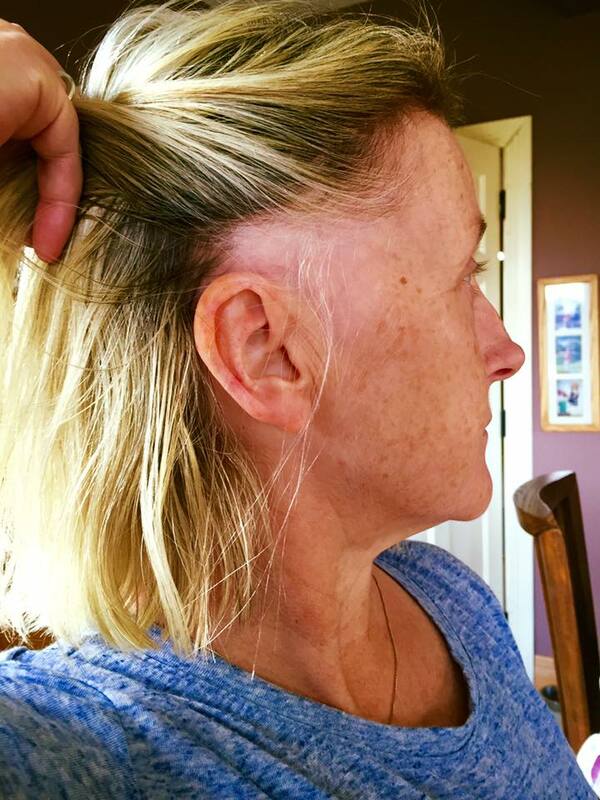 Barbara said though the condition she suffers – alopecia areata – meaning bald spots across the head – is an autoimmune disease, stress can make it worse. 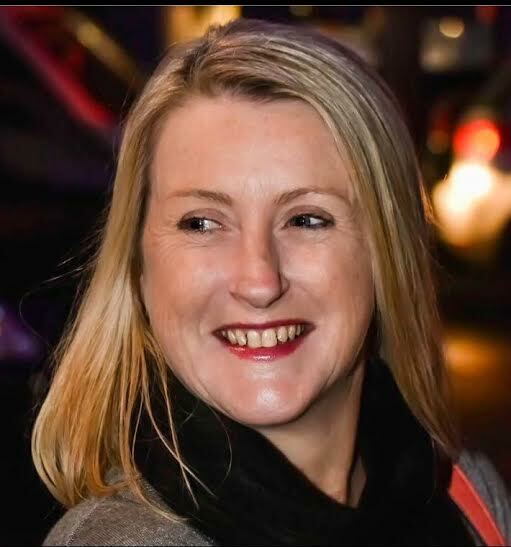 The mother recently ran as an independent candidate for Longford in the General Election – and lost clumps of hair during this time due to the stress of the campaign. During the election I had to do radio interviews, debates and public speaking and it’s nerve wracking, Barbara said. “It definitely did make it worse. In the end, I was very pleased with the support I received in the election and I might consider standing in the local elections 2019. Alopecia areata is an autoimmune disease which sees the immune system, designed to protect the body, attack the hair follicles, leading to hair loss. In most cases of alopecia areata hair falls out in small, round patches – but it can lead to complete baldness. “I’m not going to be able to hide it much longer, ” she said. “So I’d rather face what’s wrong and put it up on Facebook and talk about it openly for everyone to know. “Your hair is your crowning glory. I liked to get my hair done, to dress up and look well going out. If I had a wedding coming up, I would be afraid to brush my hair because the more I did, the more my hair came out. “I didn’t wash it at times because I was worried it would fall out. If I had a function coming up I would worry about what way to style my hair to cover it up at the back. Barbara was 16 when she first noticed a bald patch the size of a €2 coin. “My mother thought I was dying and took me to the doctor. By the time I was 21, I also had rheumatoid arthritis – another autoimmune disease. “I got bald spots here and there, but then at around 36 I had a big bald spot on the back of my head up until now. While most young girls revel in being able to style their hair, this was something that was always a problem for the mother. “As it got really bad in my 30s, I couldn’t put hair in a ponytail. I could never tie my hair up. I have my hair in a bob, as it’s the best chance of coverage. 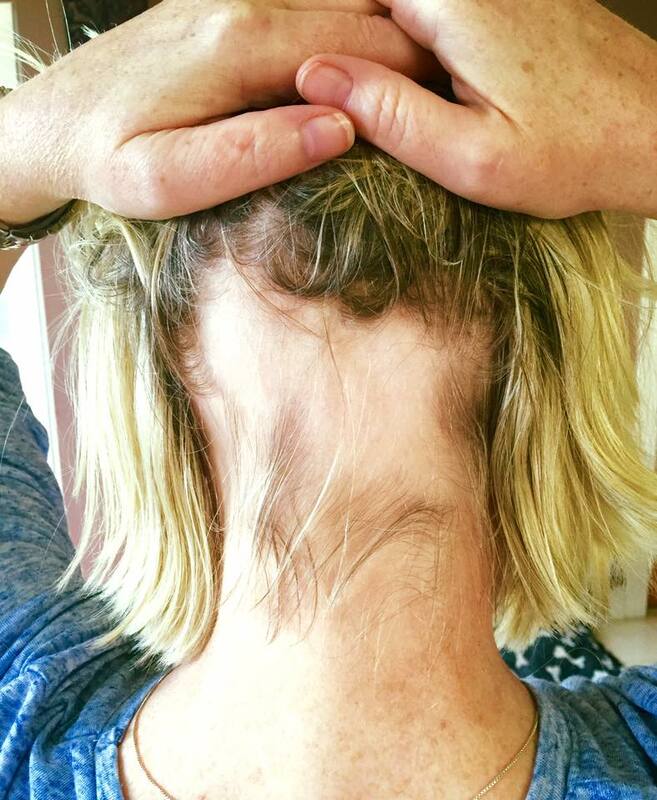 “I used to tie my hair up but my daughter saw I had a huge, bald spot on the back of my head. I couldn’t find clumps of hair at that time – it just was all of a sudden gone. Barbara said that facing ignorance among people who know nothing about alopecia has been one of the worst things she has had to deal with. Going out with a big, bald spot on my head and if I didn’t hide it, people would stop and mutter and think something was wrong with me. “I’ve been told I must not be eating the right foods. I want to tell these people to get lost. These reactions show how stigmatised alopecia still is. “I am speaking about this now, showing the photos of the alopecia, to deal with it. “I am putting it out there, not just so I don’t have to hide or worry about it anymore – but also for other people, especially women, who have it and feel they need to hide it. Barbara, mother to three girls, Amy, 18, Olivia, 14 and Heather, 10, has been supported in her move to post the photos on Facebook and talk about the issue. She has also received a lot of support from those who viewed the Facebook post. I couldn’t believe it when people were saying I was brave, she said. I didn’t feel it. I just wanted to get it out of way. I am glad I did it. Everyone I know saw the post. I don’t care anymore. “It might also make people think about how they react to people with alopecia.